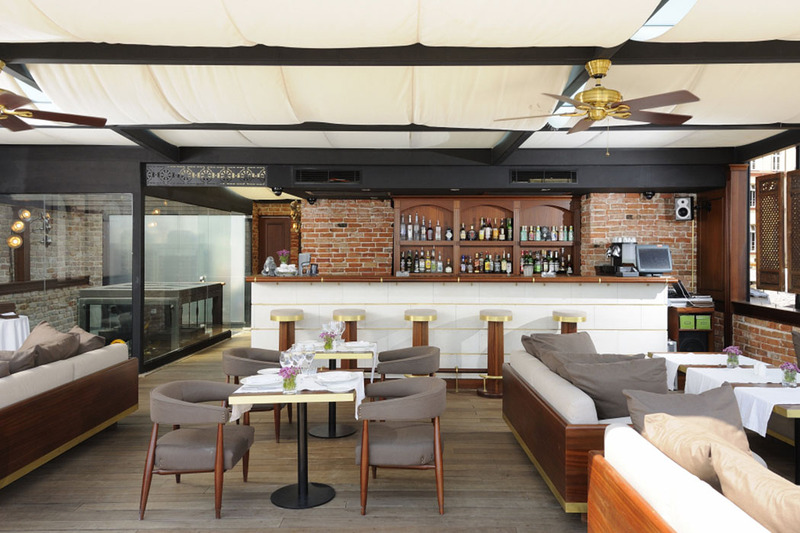 The Georges Hotel Galata is a unique and hip, 20 room boutique hotel where British fashion designers come to play. 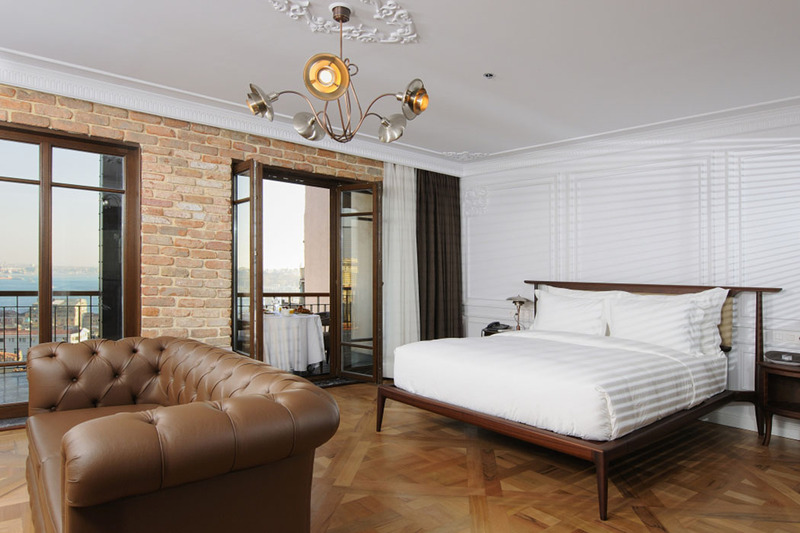 It lies to the West of Istanbul up a cobbled street of trendy Turkish dress shops and hipster coffee houses, in an 1860’s apartment building which was renovated in 2011 to incorporate a glass elevator, rooftop bar and stylish interiors. 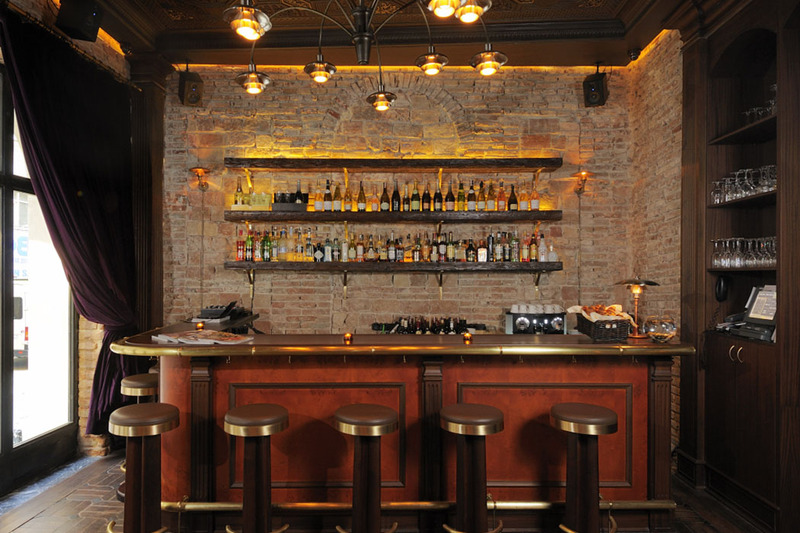 This chic, trendy neighborhood is just a few steps to the Galata Tower and just a few minutes walk to the main drag, Istiklal Street. You can stroll to all the main sites of the Old City (Aya Sofia, Spice Bazaar, Grand Bazaar, Blue Mosque, Suleyman Mosque, Cisterns, etc.) in less than 20 minutes. 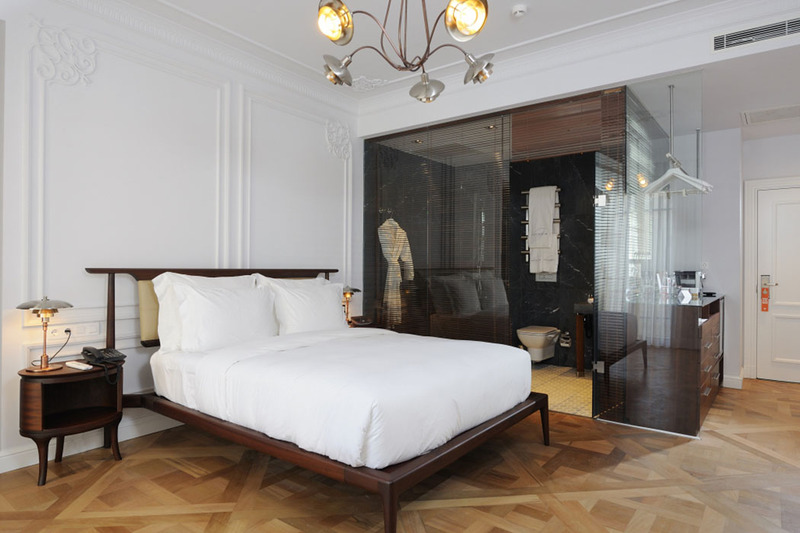 The hotel is not sign posted so you could be forgiven for missing the hotel altogether, but once found, this trendy boutique hotel welcomes you with a cool calm interior, dark marble staircases, a comfortable lobby and a beautiful rooftop lounge and restaurant. In fact the staircases are so stylishly dark that, being only lit by electronic candles, you may well need your iPhone torch to navigate your way up. 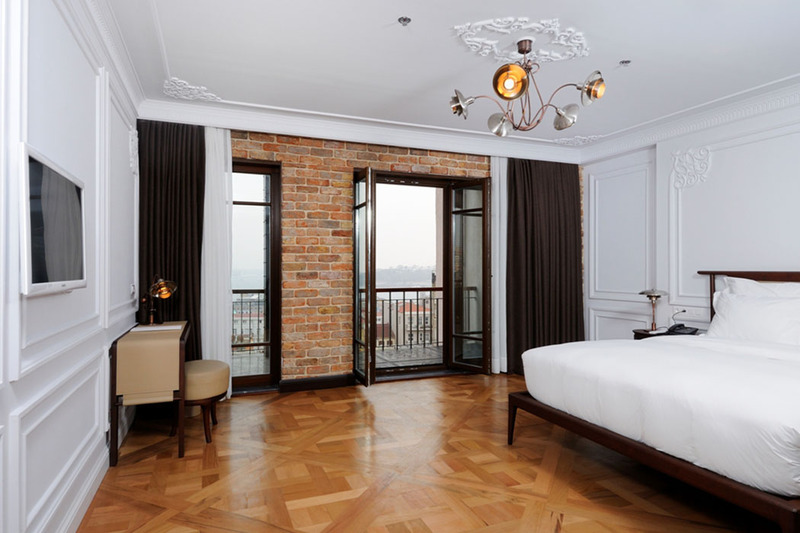 Rooms are very spacious with high ceilings, contemporary furniture, parquet floors, white linens with a goose-down duvet on a super comfortable bed. Most have a private balconies with stunning views of the Bosphorus, from the first bridge to the Historical Peninsula and which the local cats love to sun themselves on. 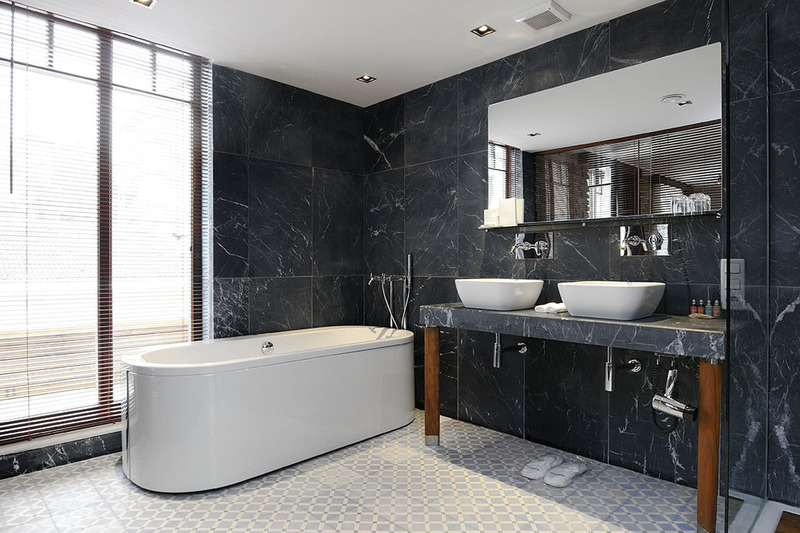 The historic building means that each room embraces historic architectural details whilst still feeling modern with the latest technology including an Led TV, iPad docking stations, laptop sized safes, Nespresso machine and free Wi-Fi. The Bathroom contains monogrammed terry cloth towels and robes, L’Occitane toiletries and wooden blinds. For a lively part of town, the rooms are blissfully quiet. Breakfast is a mix of traditional Turkish and contemporary options. The typical spread includes egg, fresh fruits and vegetables, various jams, clotted cream, fresh orange juice – and of course, Turkish coffee and tea. The views in the morning are stunning, over the Old City to the west and the Bosporus Bridge to the northeast. 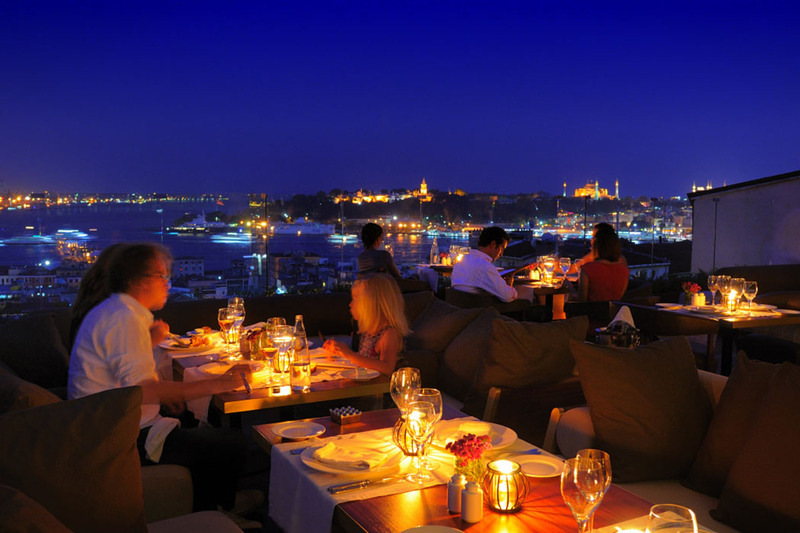 In the evening, the local neighborhood contains much of the best of Istanbul’s dining and clubs, but the George’s own Le Fumoir Restaurant, Terrace & Bar is among the highlights. 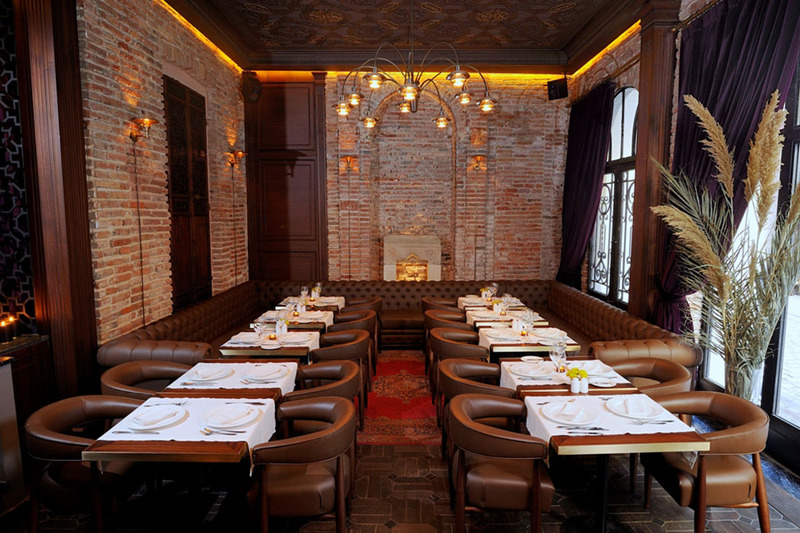 Le Fumoir is split into a clubby brick-walled dining room inside and a rooftop terrace. Serving French cuisine and drinks and with loads of comfy couches and chairs to lounge on, the terrace is the perfect sunset venue. 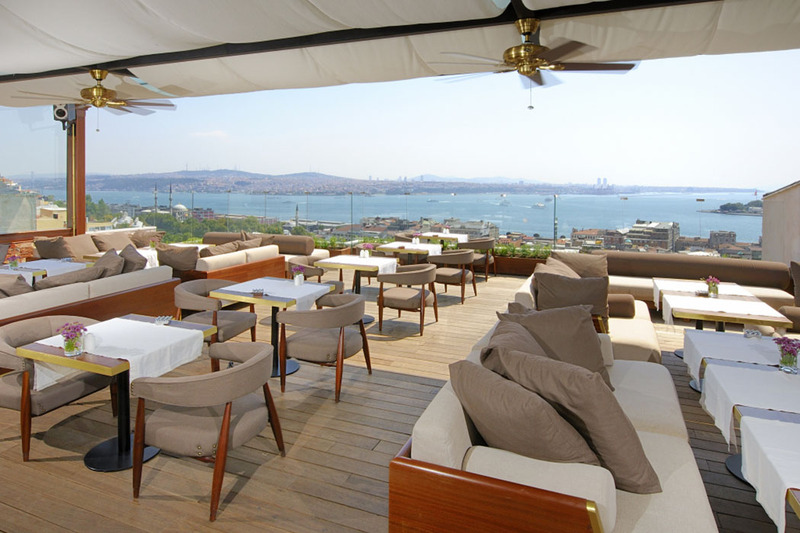 Sip a cold beer as the sun sets over the city to the soundtrack of club tunes mingling with distant prayer.